Summer can be a hard season to deal with, not only because of the extreme weather but also because it usually makes our homes and offices smell like sweat all day. If you want to spend your time in a more pleasant smelling environment, then you should consider buying a fragrance for your room. These products are commonly known as home fragrances, room fresheners, or air fresheners, and their use should not be limited to the bathroom. There are special types of products that are designed for use in the house or at the office, and they help get rid of odours to make your surroundings smell better. 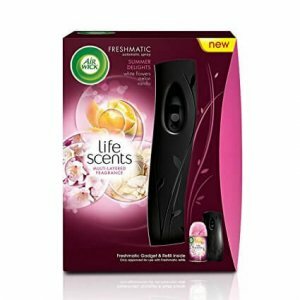 Although the process of selecting one can seem quite difficult, this article will talk you through it by explaining how you can choose the right room fragrance, and providing a ranking of the top 10 room fresheners you can buy online, so keep reading to find the best one to suit your needs! Let us first discuss how you should choose a room freshener since there are various options available today and each one has a different effect. Room fresheners can be of various types, such as aroma oil diffusers, potpourri, spray bottles and so on. They can all be used to get rid of any undesirable scents in a room, although each has their own advantages and disadvantages. Different types are also better in different locations, for example, you might love having an aroma oil diffuser in your bedroom but prefer potpourri for your living room. If you want a long-lasting fragrance, then you should consider using a room freshener that has essential oils or scents derived from plants. Natural fragrances and essential oils not only smell great, but they are also perfect for relaxing the mind and the body. Additionally, there are also deodorising ones available now that have a sterilisation effect, which helps get rid of the root cause of odours, whether it be germs or tobacco. These types are usually more affordable than the other types but do not last very long. Air fresheners are no longer limited to the ugly aerosol cans and often have beautiful designs and patterns. Therefore, aside from the scent, you should also pay attention to the appearance of the product to make sure it matches your style. It’s not too hard to choose the right design for yourself; all you need to do is to make sure that it isn’t too much of a contrast in comparison to the rest of the room. You should also try to select a product that is the right size so that you can place it somewhere stable. 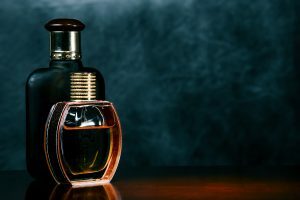 This is a very subjective aspect because the scents we find appealing can be quite different; while some may like really musky scents, others may prefer more floral ones. Whether we like a scent or not can also depend on how strong it is; some of us like fragrances which are really strong while others prefer lighter ones. If you are really particular about the intensity, then you should choose a product like a reed diffuser or an electric aroma diffuser, wherein you can control the scent better. We shall now introduce top 10 room fragrances that you can buy online, and they will be ranked based on their overall performance including the type of fragrance, the price, and the effects. We hope that this will help you find a room freshener that meets your expectations. 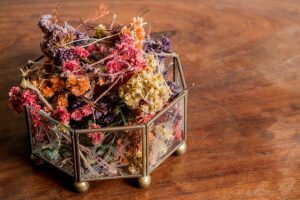 If you are not a fan of really strong scents but still wish to make your room smell better, then you should definitely consider getting some potpourri. This particular one does not have the usual floral scent, instead, as the name would suggest, it has a much more earthy and woody scent. Aside from making your room smell wonderful, it also looks beautiful as a piece of decoration. However, it is quite pricey considering you only get about 100 grams, and the smell does not last for more than a month or two unless you invest in an essential oil to keep the smell from fading. It is also a fixed type product so you cannot carry it around, and you cannot really adjust the intensity of the fragrance either. 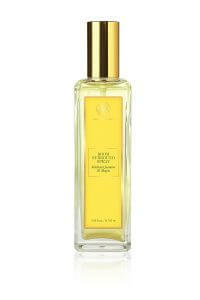 This room spray is great for those who are looking for a budget option that gives immediate albeit temporary results. It has a deodorising effect and a very flowery scent, which makes your room smell like a garden for a while. The design of the bottle is also really pretty and it looks stylish wherever it is placed. The downsides to this product though are that the smell barely lasts for even 20 minutes and you have to spray it again to keep your room smelling fresh. Due to this, the product runs out fairly quickly, and the longest you could use it for would be around a month. 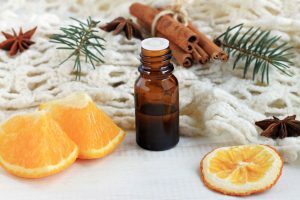 Furthermore, the scent is quite chemically and artificial, so those with sensitive noses should consider buying one of the other, more natural options on this list. 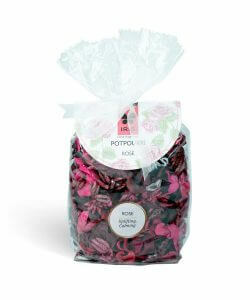 If you were on the hunt for a good quality but affordable potpourri option then look no further. 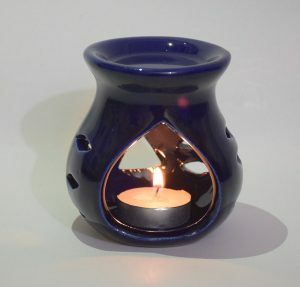 This product has a strong rose scent to make your room smell better and appear more beautiful. 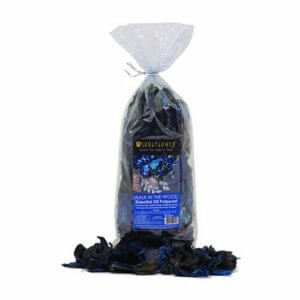 It is great for those who would like to use potpourri but do not want to compromise on the intensity of the fragrance. If you do want something that smells natural though, then this wouldn’t be the right choice for you because despite being a floral scent, it is clearly artificial. Furthermore, if you do not have any essential oils, this product will become useless after about a month of use. If you are looking for an affordable room freshener that is all-natural and works well for medium-sized rooms, then this product is perfect for you! 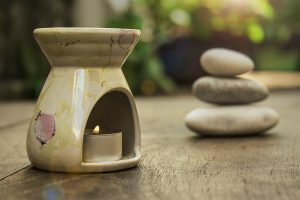 It may look small, but give it a few minutes and you shall see how great it is for making your surroundings smell better. It does not come with essential oils, so you would have to buy those separately, although it is still a bargain since diffusers can often be quite expensive. Another thing you must keep in mind when buying this product is that it uses fire, which makes it quite dangerous for homes with children. Sandalwood and Mogra are a match made in heaven, and if you want to make your room smell divine, then this product is for you. It has a fairly strong scent that lingers in the room for up to 4 hours after the spray has been used. It is recommended for all those who enjoy floral scents and wouldn’t mind spending a tad bit more for a more long-lasting fragrance. The downsides to this product would be that it is quite strong, and although you can control the amount you spray, it may still be too strong for you if you have a sensitive nose. Another thing you need to watch out for is that even though it is supposed to be water-based, it can still leave behind a trail of white marks so you must not use it on furniture or clothes. 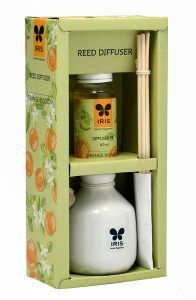 This reed diffuser is perfect for those who want to avoid the hassle of using an air spray every day and simply want a product that they can place in their room to make their surroundings smell lovely. It is also great for those who want to control the intensity of the fragrance, as you can adjust the number of reed sticks to make sure the scent is not too strong for you. Although this product works well for those who want to use it in medium sized rooms like their bedroom or office cabin, it is not suitable for larger spaces such as the living room or a conference room. Another downside to this product is that despite the long-lasting scent, the liquid itself only lasts for about 20 days and needs to be refilled after that. This is another option for those who cannot be bothered with air sprays, as well as for those who would like to manage the intensity of the smell. This room freshener automatically dispenses a pleasant scent into the air, and the intervals between each spray can be changed based on your preference. Depending on your usage, it can last from about 20 days to well over a month, and you can choose different scents for the refills. The con to this product though, is that the fragrance may not be to everyone’s liking as it is quite strong and very sweet. Additionally, if you have a sensitive nose or are prone to allergies, then it would be better to choose one of the other products on the list. There are not that many people who dislike the smell of fresh roses, which is why this product is ranked so high. You do not need to use a lot of this either as the scent lasts for a few hours once it has been sprayed. It is perfect for those who want a product they can easily use whenever necessary, without worrying about portability issues. The downside to this product is similar to the other product by the same brand; it leaves behind a white substance whenever it is used. If you avoid spraying it on furniture and clothes though, this product is absolutely perfect! This product is the most expensive one on the list, but it is also the only one that can last for a few months even if it is used every day. It has a traditional floral scent and is the best suited for those who want to invest in a luxury product. You only need to spray two to three times to make even a large room smell wonderful, and the scent lingers for several hours. Furthermore, it is made with Ayurvedic knowledge, so aside from making your room smell great, it also has some other beneficial properties, such as being really effective at relieving stress and making you feel more relaxed after a day of work. If you do not mind spending a bit more on a beautiful room fragrance that you can use for a long time, then you should definitely get this one! This is the perfect product for those with respiratory issues and allergies as it comes with a diffuser oil which contains essential oils like eucalyptus, clove, and rosemary. It spreads a soothing aromatic scent into the air and is not too strong for sensitive noses. Aside from that, it also looks gorgeous sitting in your room or your office cabin. If you live in the city and are suffering because of air pollution, then you should consider investing in this product to help solve your breathing problems, and also calm yourself after a long, hectic day. Even if you live in a place with not as much pollution, this product would still make your everyday life more relaxed with its aroma. With our busy lifestyles, it is important that we create an ambience that makes us feel more composed and helps to uplift our spirits. Having the right kind of room freshener can completely change the experience of being in a particular room, so you should pay close attention when choosing a fragrance. We hope that the recommendations we provided helped you understand what sort of scent would suit your tastes, and you were able to find the best one for yourself!